You may be exercising now because you want to lose weight and get in shape. But the benefits of exercise go beyond this. In fact, group exercise can help you age well. This may not seem important to you right now, but your body will thank you later in life as you get older. Becoming physically active, even if you have been sedentary for a while, can help you stay healthy and hold off disease well into your retirement years. 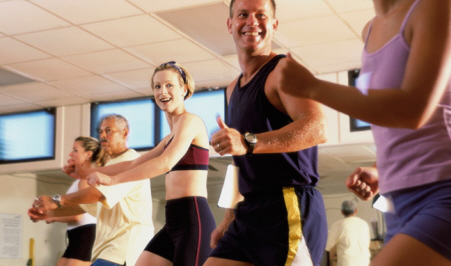 If you want to live longer and better, then start participating in group exercise classes in Canton, MA. During group exercise classes you exercise together with other fitness enthusiasts, you will have more fun while working out. You will also find a new circle of friends, keeping you sociable as you age. Without physical activities, your muscles can become shorter and your bones can become brittle. This is because they often do not get to move around enough. You may spend hours sitting while at the office and then on the couch at home after a long day. Now is the time to start boosting your fitness with game-changing workout routines. Your certified group exercise trainer will teach you how to exercise best and help you master all the moves. Start exercising now and feel how your body gets energized and revitalized while taking advantage of group exercise classes. To find out more about group exercise, contact Answer is Fitness.